Reasonably close to light rail, World Square and Paddy's Markets. Window could be opened a little to let in fresh air. The kitchenette in the studio room while small served our needs. The bed was very comfortable and the pool was very clean. Room was spacey and close to haymarket and townhall. Easy access to restaurants. Bed mattresses were nice. Perfect security, and good location. You can go to Town Hall on foot and central station. This room has a small kitchen and microwave. The location was nearby to townhall and central and there are lots of restaurants at Goldburn St nearby too. My experience in the Oaks is that it is in a good location, about 5 min from Central Station. Friendly staff; one caution: there is no cup/glass in my room. I don’t know where this is the Australian practices I don’t know. Beside that, all are good. 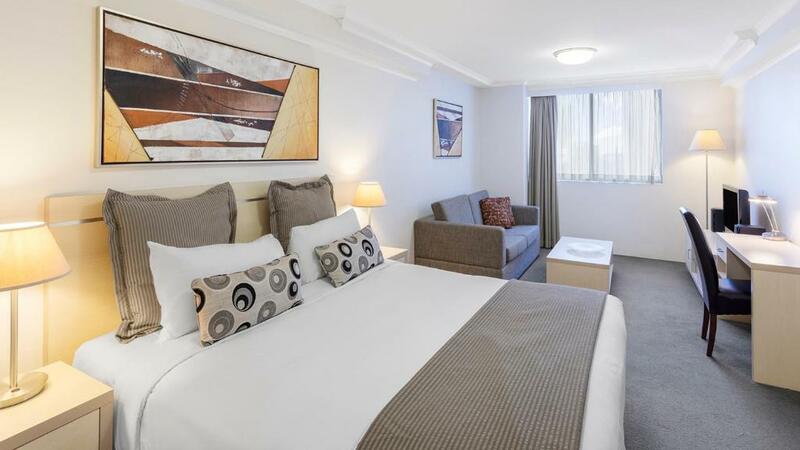 Lock in a great price for Oaks on Castlereagh, Sydney Central – rated 8 by recent guests! 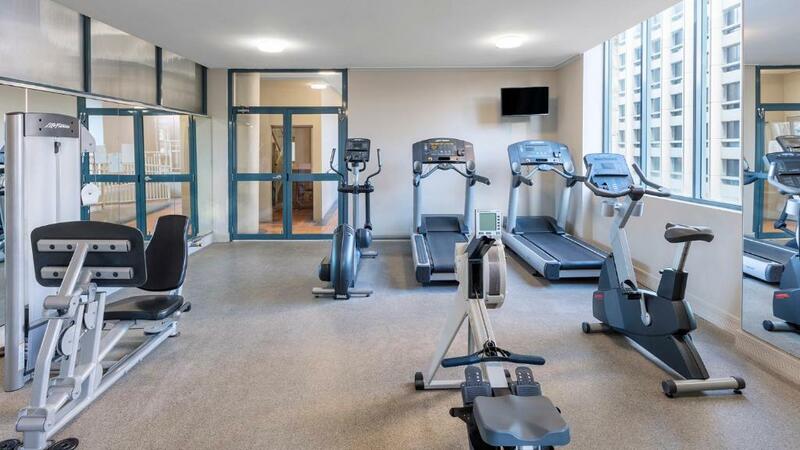 Oaks on Castlereagh, Sydney Central This rating is a reflection of how the property compares to the industry standard when it comes to price, facilities and services available. It's based on a self-evaluation by the property. Use this rating to help choose your stay! 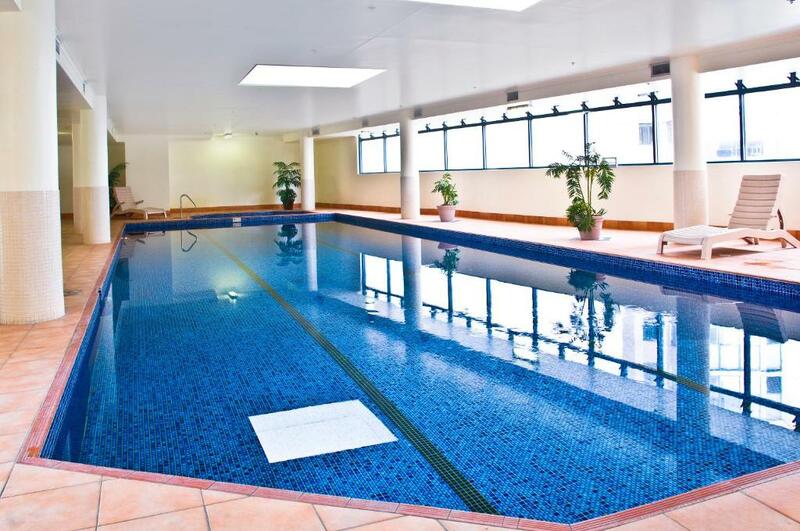 One of our top picks in Sydney.Located in Sydney CBD (Central Business District), 5 minutes’ walk from Central Station and Hyde Park, Oaks on Castlereagh offers stylish studios and apartments, a well-equipped fitness center, and a 50 feet indoor heated pool with spa pool. Each studio and apartment features a kitchenette or full kitchen, air conditioning, and a large open-plan living area with flat-screen cable TV. Most apartments include a private balcony with panoramic city views. 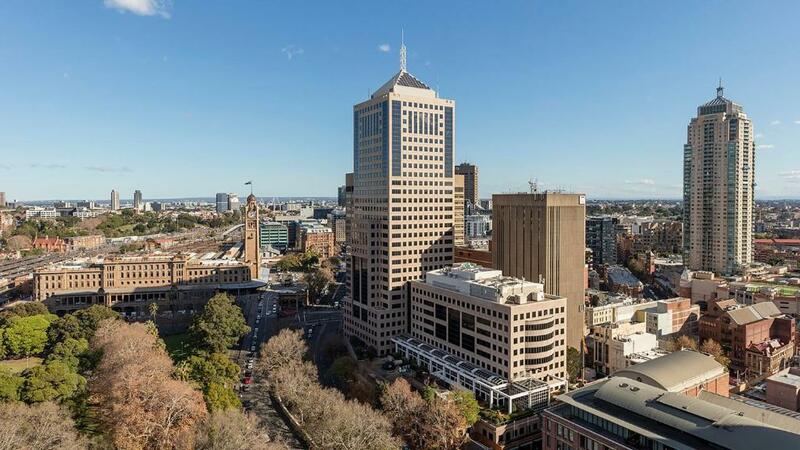 Surrounded by restaurants, bars and cafes, these modern apartments are just 650 feet from Sydney’s Capitol Theater and only a 10-minute walk from some of Sydney’s best shopping along Pitt Street Mall. 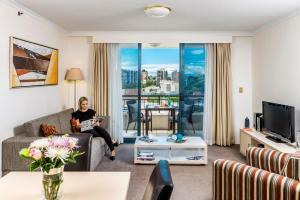 Oaks on Castlereagh Sydney offers business and secretarial services, barbecue facilities and guest laundry facilities. Secure covered car parking and broadband internet access are available. 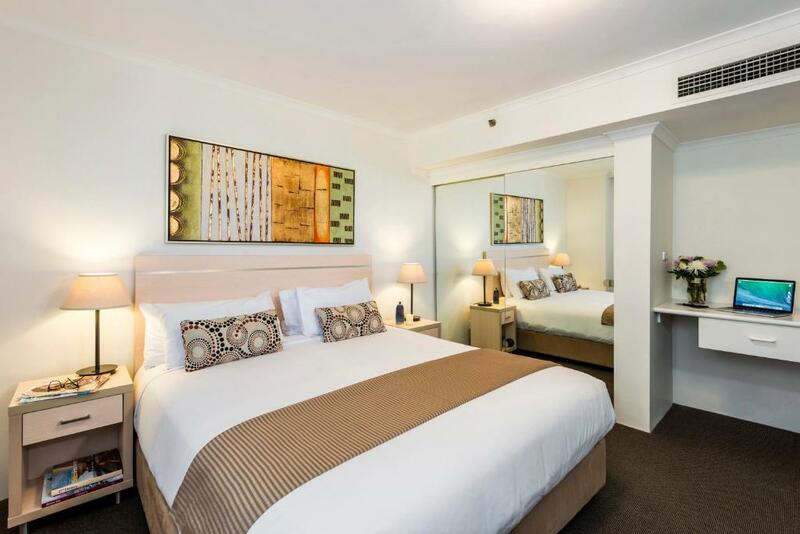 When would you like to stay at Oaks on Castlereagh, Sydney Central? Suitable for solo travelers and couples, these Studios feature a kitchenette, including a bar fridge, microwave, hotplates and tea/coffee making facilities. Please note that the rate is based on 2 guests. Maximum occupancy is 2 adults and a maximum of 1 child but cannot exceed 2 guests in total (see Hotel Policies). The One-Bedroom Apartments are complete with full kitchen and laundry facilities, modern décor and an expansive balcony overlooking the city. This spacious, self contained Two-Bedroom Apartment includes a full kitchen and laundry. 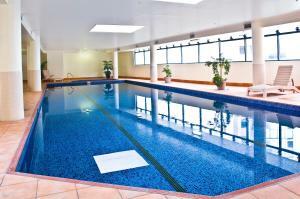 It is modern and tastefully furnished, with 2 bathrooms and a large balcony. Please note that the rate is based on 4 guests. Maximum occupancy is 4 adults and a maximum of 3 children but cannot exceed 4 guests in total (see Hotel Policies). The self-contained Three-Bedroom Apartment includes a full kitchen and laundry. It is modern and tastefully furnished, with 2 bathrooms and a large balcony. Please note that the rate is based on 6 guests. Maximum occupancy is 6 adults and a maximum of 5 children but cannot exceed 6 guests in total (see Hotel Policies). This spacious Two-Bedroom Dual Key apartment is made up of a Studio and One-Bedroom Apartment, with entry through a common door. It is modern and tastefully furnished, with a full kitchen, laundry facilities and a large balcony. Suitable for solo travelers and couples, these Studios features a mini kitchenette (built in wardrobe), including a bar fridge, microwave, hotplates, toaster and tea/coffee making facilities. A coin operated shared laundry is available. Suitable for solo travelers, couples, or a family with one child, these apartments feature a full kitchen, including standard fridge, microwave, gas cook top, wall oven, toaster and tea/coffee making facilities. Laundry facilities are also provided. Suitable for solo travelers and couples, these Studio Apartments feature a kitchenette, including a bar fridge, microwave, hotplates and tea/coffee making facilities. Renowned as one of Sydney’s leading hotel properties, the 4.5 star Oaks on Castlereagh provides guests with supreme city convenience, deluxe, self-contained accommodation and premier onsite facilities, rendering it ideal for holidaymakers and corporate travellers alike looking for a comfortable base from which to explore the cosmopolitan metropolis of Sydney. House Rules Oaks on Castlereagh, Sydney Central takes special requests – add in the next step! Oaks on Castlereagh, Sydney Central accepts these cards and reserves the right to temporarily hold an amount prior to arrival. Please note that this hotel requires an AUD 75 credit card pre-authorization upon check in to cover any incidental charges. Location was good as i needed to be near Central station. Was not as per description or photos on website. This came as quite a shock when entering the room. Room was smaller than expected and kitchenette was not as described or easy access. No dishwasher or cleaning of cutlery included in service, which is fine, but needs to be made more explicit upon booking. Staff were lovely though. The bed was super comfy. 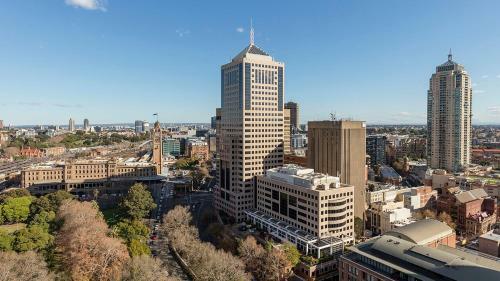 Convenient location to central and Surry Hills. It was in a good location. Light in bath room was not covered and all cords exposed. Cloths dryer was out of balance so didn't work unless I held it and dryer was so loud we couldn't use it. The bed ( which, I guess was a king zipp)while comfortable was raised in the middle tending to roll to the edge. The doors from the neighbouring rooms were beyond loud. It sounded like people were slamming doors all through the night. Room was cramped and very noisy, terrible. Awoke by fire alarm in middle of night, evacuated to street, no organisation by staff, people wandering everywhere, had there been a fire people would have been killed I am sure. No leadership from staff, people using lifts still not knowing if there was a fire, people going up fire stairs to even higher level floors not realising fire doors locked and staff not communicating this. I have never seen such disorganisation so very poor. Besides a disrupted sleep (and sometimes better safe than sorry so I get having to evacuate) but to walk down 15 floors to such disorganisation was appalling. Lucky for the property there was no fire as the fire safet was shocking and not a warden to assist and/or communicate in sight. Terrible. Room was spacious. Comfortable bed. Great amenities: fridge, microwave, iron, small stove, sink. 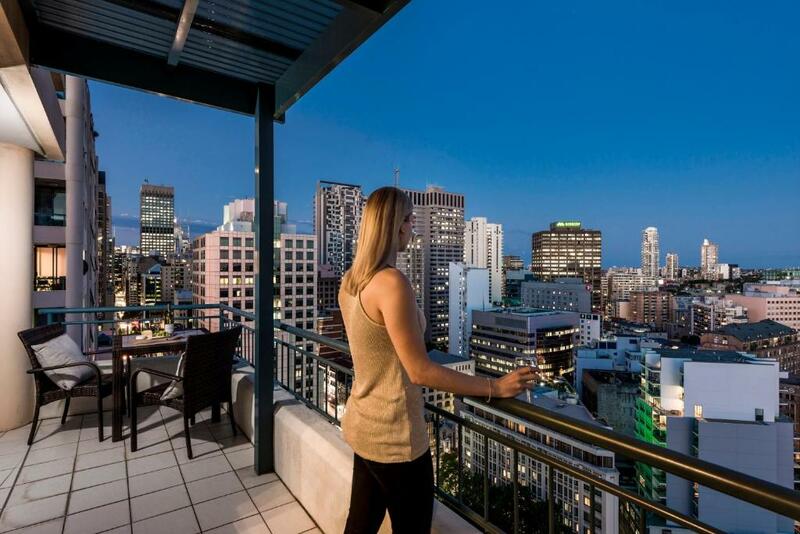 Great balcony overlooking Castlereagh street. Short walk to either Museum and Central stations and light rail. Luggage storage both before and after check in. Friendly and helpful staff at front desk.